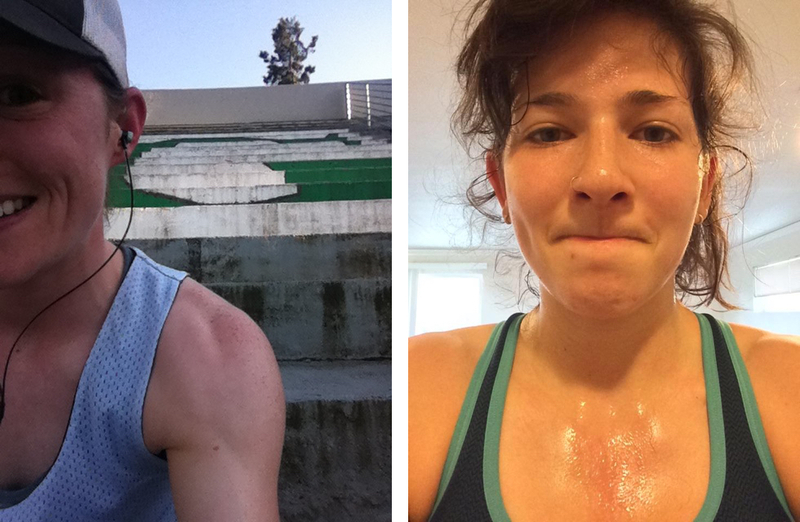 Two years ago, through some twist of fate, Riot began mastering the art of the Post-Workout Selfie (PWS). It’s exactly what it sounds like. I’ve been on teams that have used things like online workout logs or ‘optional’ tracks as a way of showing your fitness-based dedication, which often end up harboring resentment in some way. In the PWS, Riot found a creative, supportive, and weird way of being accountable and showcasing our love for the battle. In its short lifetime, the PWS has quickly evolved, going from an occasional occurrence to a team-wide torrent of pictures. All day. Every day. Often they have nothing to do with working out. Occasionally you manage to get the whole team. In the moments when I look up as I’m about to start my next sprint, or during the pre-game huddle, or in that instant before the first pull goes up, my mind floods with my teammates’ sweaty faces which are — in spite of fatigue or feigned grumpiness — full of hope and grit and love. With nationals upon us, it’s interesting to pause and look through the (enormous) number of pictures in our team’s GroupMe archive. I went far down the rabbit hole and still never found the first PWS, but in the journey I was reminded that all of these moments built up to this one final selfie opportunity. Every image in that collection, and every drop of sweat and tear shed before taking them, has laid the road leading to this last chance as a team. No matter the outcome, it will have all been worth it. And you can bet I’m gonna take a selfie.